Summary: The commercial property group once again left its numbers to do most of the talking, as new all-time highs for revenue, net asset value and the dividend were accompanied by only two paragraphs of management commentary. A bonus this year was US tax changes adding £40m to the balance sheet, which now stands at £111 per share and continues to dwarf the £64 share price. Conservative borrowing levels, veteran family management and an illustrious track record remain the foundations of this investment, and, in theory at least, a 14% earnings yield is available, too. I continue to hold. These 2018 figures were accompanied by the usual terse management commentary. 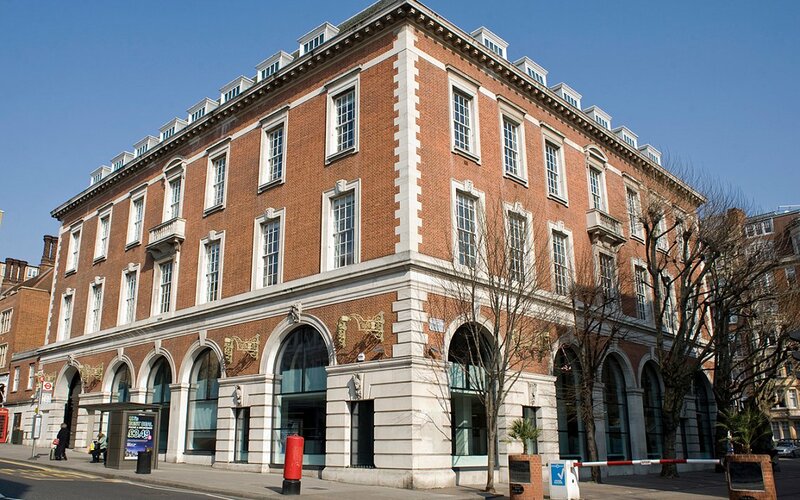 “The revaluation of the investment property portfolio at the year end has resulted in a net valuation surplus for the year of £146,438,000 (2017 – £144,508,000). As a result of the reduction in the USA corporation tax rate from 35% to 21%, the Group has benefitted from a release of £39.9m from the provision for deferred tax. The Board has recommended a final dividend of 68p per share in respect of the year ended 31 March 2018 payable on 2 November 2018 to shareholders on the register on 5 October 2018. This will make a total dividend for the year of 103p (2017 – 98p). Releasing £40m from the deferred tax provision added £2.45 per share to earnings and net asset value (NAV). Progress was assisted mainly by the £146m/6.5% property valuation gain, which took the property estate’s book value to £2,373m and NAV to £1,813m. One number that did not set a new record — in fact, quite the opposite — was service charge income. I wonder whether this income encompasses more than just the normal service charge paid by leaseholders to cover building maintenance costs. Anyway, the service charge income for 2018 was £12m — down more than £3m on 2017 and down almost £9m on 2016. In fact, the level for 2018 was the lowest since DJAN first started disclosing the figure during 2005. 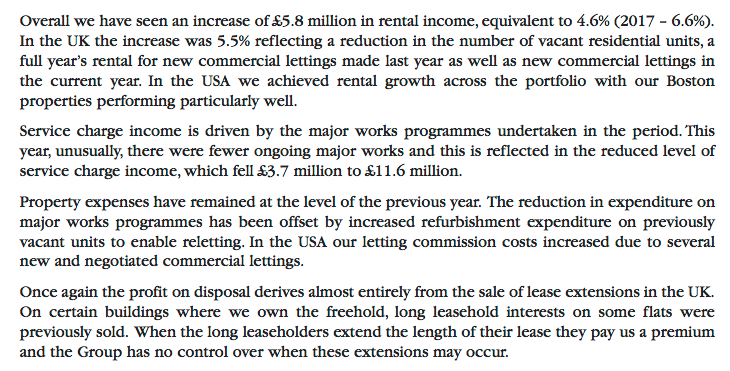 At least normal rental income climbed a useful 4.6% for the year to ensure total revenue gained 1.5%. I must add that these 2018 results extended DJAN’s illustrious long-term record. After the current chairman took charge during 1980, NAV has since ballooned 82-fold (+12% average), the dividend has since surged 28-fold (+9% average) while rental and other income has since rallied 14-fold (+7% average). I wrote in November that adverse currency movements had hindered DJAN’s first-half NAV gains. The GBP:USD exchange rate moved from 1.25 to 1.34 during the first half and extended the move to 1.40 during the second. The overall shift meant DJAN’s US properties had their year-end value cut by £11m to £590m despite a valuation gain of £49m. At least the currency movements helped US liabilities decline by £57m to £347m, and total debt reduce by £2m despite the group taking on extra loans of £24m. 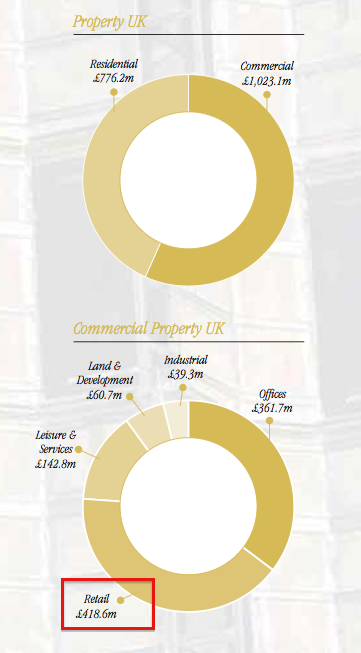 Net borrowings now stand at £252m and are equivalent to only 11% of the full property estate — the lowest proportion for ten years. My early sums suggest interest paid on borrowings fell from 4.0% to 3.6% for the year. I see DJAN upped its capital-expenditure programme during the year, too. Trading at £64, the share price is equivalent to 58% of the latest £111 per share NAV. Although the discount appears sizeable, these shares have rarely traded close to NAV for decades. Reasons for the persistent discount include the board’s 80% family shareholding, the management’s unconventional working culture/corporate governance, a lack of City engagement, and the absence of any takeover possibilities. Nonetheless, I am hopeful that — one day! — the discount to NAV will narrow as the group’s performance and size simply become too difficult for the wider stock market to ignore. 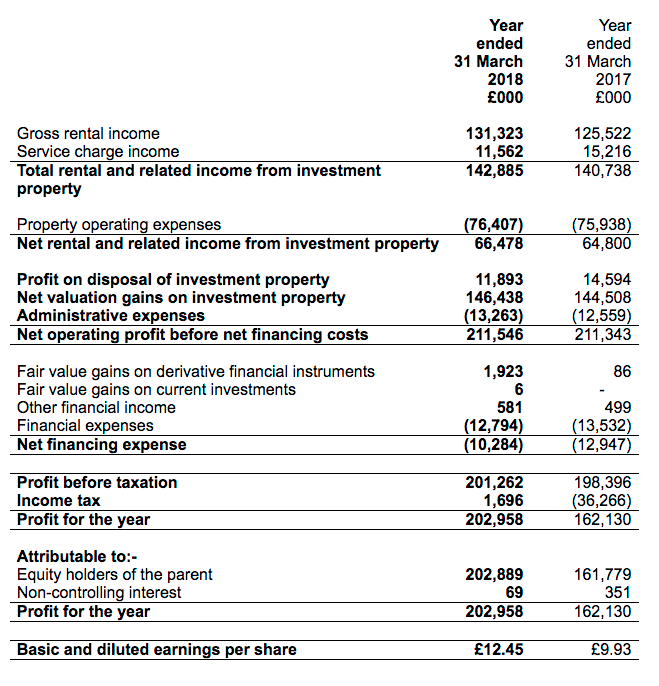 Assuming DJAN can earn an average of, say, 8% a year from its latest £111 per share NAV, typical annual earnings could be £8.90 per share — represented by a mix of rental profit and valuation gains. In theory at least, enjoying £8.90 per share a year from a £64 entry price is equivalent to a worthwhile 14% annual earnings yield. Meanwhile, the 103p per share dividend supports a very modest 1.6% income. This entry was posted in Daejan, My Shares and tagged Daejan, DJAN on July 27, 2018 by Maynard Paton. The annual report provided some — but not much — extra management comment on the group’s 2018 progress. Nothing within the remarks was too surprising. I now wonder whether a lower service charge income has much effect on profit, as I presume such income comes with the associated costs of performing the building maintenance. 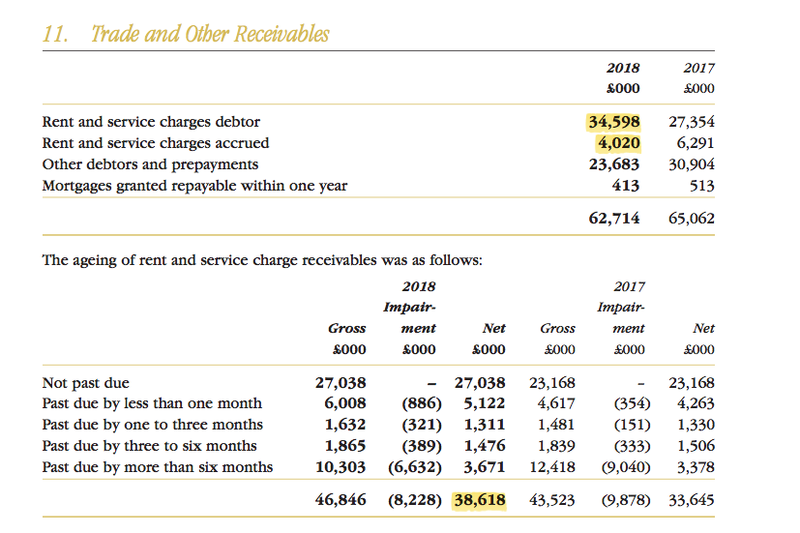 I see operating profit for 2018 was only £2m lower than 2016 (£53m vs. £55m), despite service charge income being £9m lower. 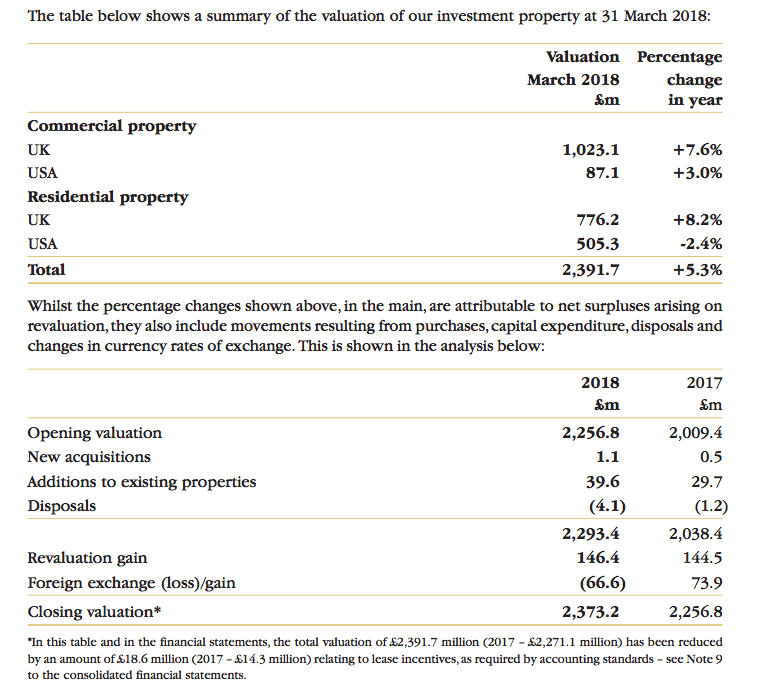 But such ‘uncertainty’ does not appear to have held the business back, with the UK estate enjoying a 5.5% valuation gain during 2018 and a 6.6% valuation gain during 2017. (The reported gains in the first table include purchases of new properties and other capex, so do not match my 5.5% calculation from point 2 above. But I am pleased the value of both residential and commercial properties improved. Last year the estimated amount was between £0m and £49m, so it appears HMRC may be winning the argument. I have heard on the grapevine that DJAN had been quite cavalier with certain tax arrangements, but the arrangements in question (according to the note above) have now ceased. The £38.6m net trade receivable figure represents 27% of revenue, which compares to 24% for 2017, 26% for 2016 and sub-22% before that. So there is a little more money outstanding than normal, but at least the quality of the owed invoices has improved. In fact, the £8.2m impairment for the year represents 18% of the £46.8m outstanding gross receivables — by far the lowest proportion since the relevant figures were first disclosed in 2010 (the previous low was 23% during 2017). The group paid interest of £12.8m during 2018, which on average debt of £351m = a 3.6% interest rate. The cost for 2016 and 2017 was 4.1% and 4.0% respectively — so a useful reduction has occurred. Chairman Benzion Freshwater has seen his basic pay advance 7.9%pa in the last five years and 6.7%pa in the last ten. In contrast, the dividend is up 5.4%pa during the last five years and up 3.9%pa during the last ten years, while NAV is up 13.0%pa in the last five and 8.1%pa in the last ten. So I continue to think the wage hikes have generally been justified on an NAV basis, although a £1.2m basic salary remains very chunky regardless of the size of the business. 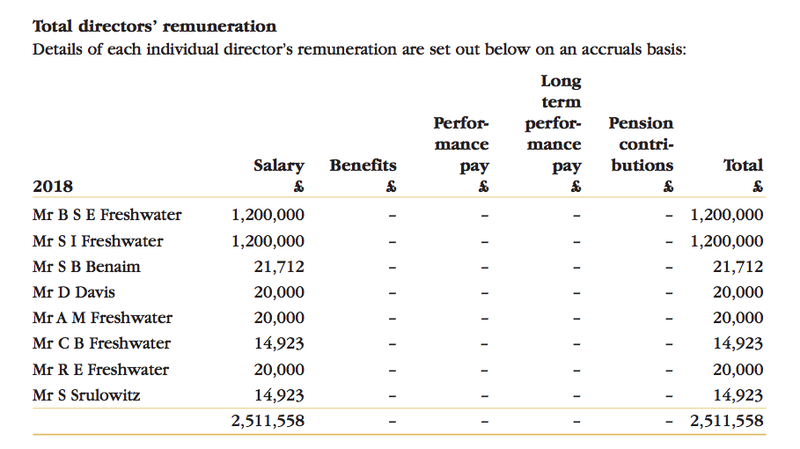 As I have written before, I can’t argue with management’s track record and if £1.2m salaries are required to keep the record going, then that’s something shareholders have to live with. I think you are correct with your thoughts on service charge income. In my view it is not really income but recovery of costs. There should be no profit potential in s.c recoveries, in fact if there are vacant properties this will result in a shortfall over costs. The level of charges will vary as in some buildings there will be sinking funds which have built up to recover major repair/replacement items but in some instances where no sinking fund exists the total cost will be recovered from the tenant(s) in a single year. I think you should ignore these figures as they will be countered by the cost being inluded somewhere under expense items in the accounts. Bear in mind that as interest rates rise yields on property will do likewise ie the capital values will fall. So as a happy holder it may be okay to retain but perhaps not the time in the cycle to consider a new investment. Thanks for the Comment. Yes, I would agree with your view of service charge income being a ‘recovery of costs’ — a good way of describing it. Point taken on interest rates as well. 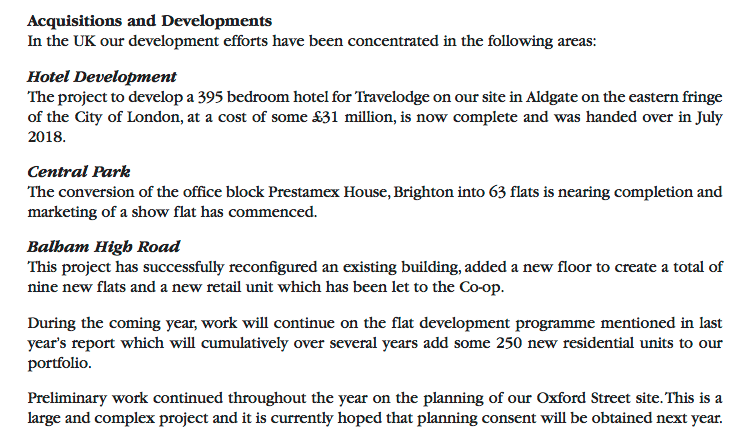 From recent annual reports, I get the impression future NAV gains are more likely to come from property redevelopments than pure valuation uplifts.